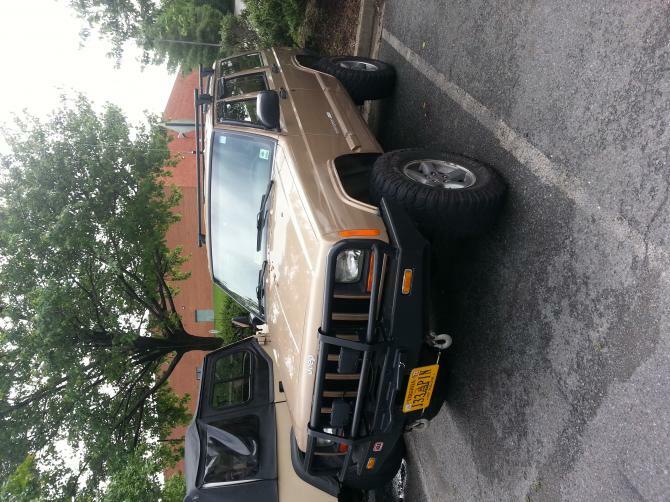 I am selling/lookong to trade my 2000 Jeep Cherokee (Gold). Looking to trade for pick up or possibly a clean honda / import. Clean paint a few blemishes but no rust. 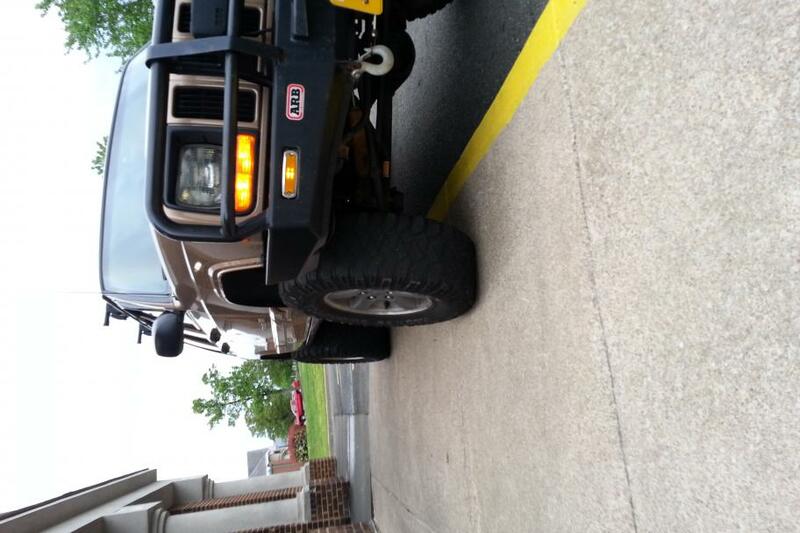 4.5 inch rustys lift with transfer case drop kit. Can come with either set of 4 M/T mud terrain tires ( 2 need replaced ) on stock jeep wheels or 4 kelly safari tires on soft 8s both are 31`s. Alpine head unit with upgraded speakers all around amped off factory infinity amp. Slotted rotors up front with high performance pads up front. Unibody has no damage and is not cracked anywhere. Has a small missfire from time to time never causes a CEL to come on could be a coil pack going bad. Some of the grease boots need to be replaced. Interior is clean over all need to have the headliner re glued in a few spots. Drivers side seat has a tear but it has a seat cover. Overall this thing drives and runs great! Have owned it for 2 years with NO major issues and it passed inspection with ease. Only thing I had to replace was the alternator. It was offroaded on a few occasions but it waa never beat on or trailed during my ownership. Clean jeep with alot of potential for the right owner! (Reliable vehicle never hesitated to drive it anywhere, drove to obx last summer with 0 issues). Any questions feel free to ask if i forgot anything. Thank you for viewing!